The photo below shows you how to access the portal. All students must have their Registration Receipt (printed from the portal) to get their course schedule. Students will receive their school issued ID, receive their course schedule and have options of paying for a parking pass and receiving a locker. If students have fines or fees, they may be paid at the time of registration. Our neighbor to the north (Whitehall High School) is sponsoring a night of music to help raise money for the White Lake Food Pantry. A great cause, worthy of our support as a neighboring district! It’s sure to be a great evening of music and support for a great cause! 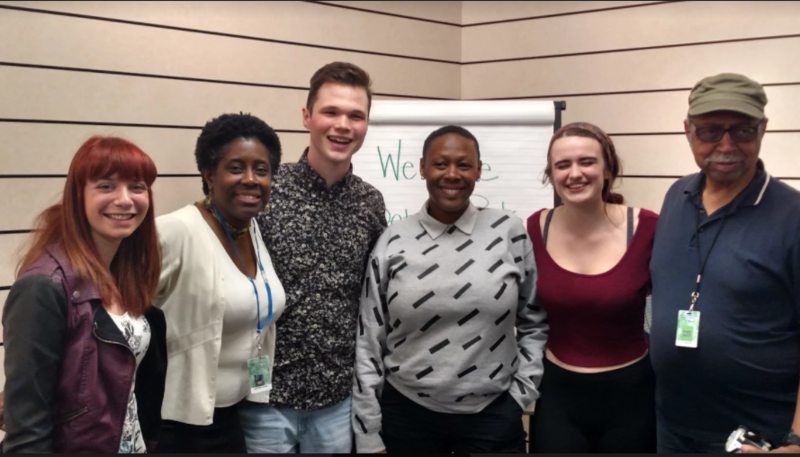 On April 28, in honor of National Poetry Month, over 150 students welcomed to RPHS three award-winning Detroit poets: Nandi Comer, Sonya Marie Pouncy, and Willie Williams. Asked by senior Taylor Dibble what inspires him to write, Williams responded emphatically, “Everything!” And his belief that absolutely everything is fodder for a poem was indeed demonstrated in the selected works heard on Friday; topics ranged from Mexican wrestling to the legend of la llorona, from Detroit techno to Billie Holliday, from Henrietta Lacks to the outcast family member we all love to hate. Dibble was joined by juniors Eli Nichols and Stephanie Kennert at a luncheon following the event. There, the poets discussed the use of specialized language (like the medical jargon in the Lacks poems or the sports lexicon and Spanish words in “Sangre, Sangre, Sangre”). The poets encouraged RP’s rising literary stars to “write in the language you know” while working to “become fluent in the language of the field” you wish to explore. 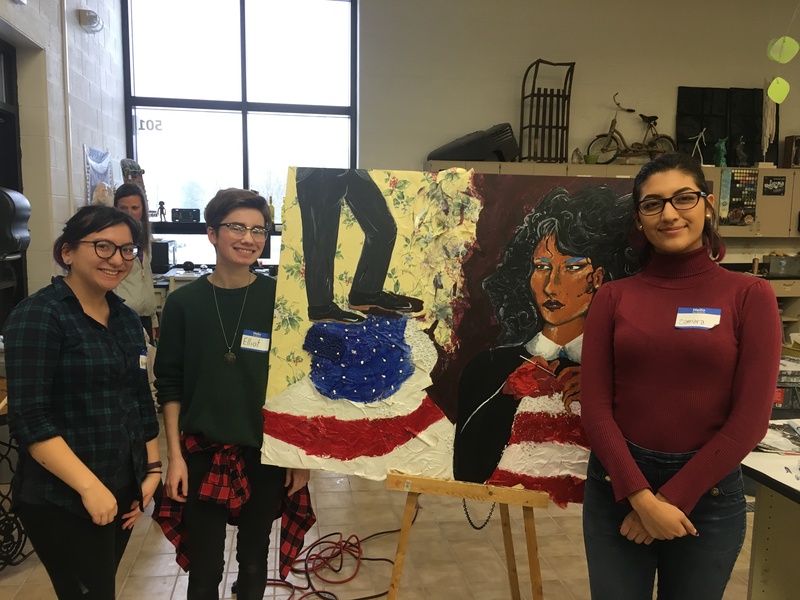 English teachers who attended the event noted the three distinct poetic styles represented while students commented on the diversity of subject matter. Nichols remarked, “The stories of empathy and compassion really evoke a sense of ‘I’m not the only one here.’” For Kennert, the poems “showed how you can use writing to figure out not only how you’re feeling but to help figure out other people.” If the hour out of class must be justified, then what better lesson could one wish for our students to learn than this? This week Wednesday, March 29th from 5:00 – 8:00 p.m., parents have one last time to meet with their student’s teachers during parent/teacher conferences in the high school arena. With the start of the fourth marking period, this presents a good time to meet to discuss progress made during the third marking period and to provide insight into what students will be asked to do during the last marking period of the 2016-17 school year. We hope to see you on campus this Wednesday evening! 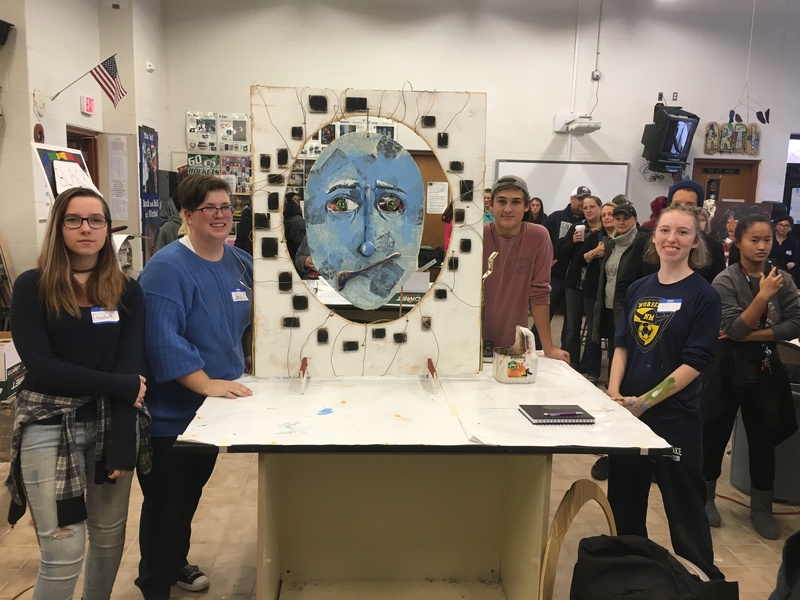 On Saturday, November 19, Reeths-Puffer hosted its fourth annual “R-P Art in the Moment Challenge,” where six local schools were invited to R-PHS to compete in a five hour art competition. 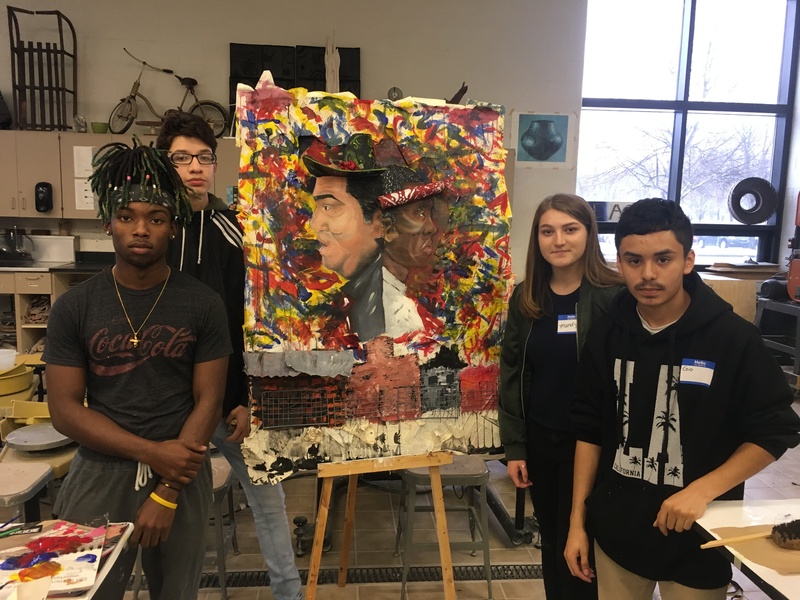 Schools were given the challenge of building a 2D or 3D artwork with a team of artists, incorporating both found objects and their own artistic skills. 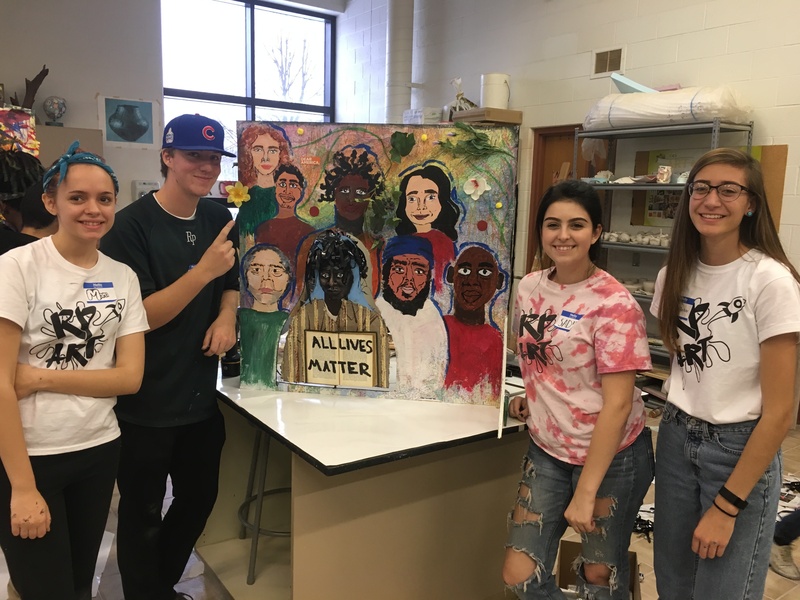 This year’s artwork was based on the theme “Misinterpretations.” Taking first place this year was Mona Shores, and second place was Muskegon. It was a wonderful event with thought-provoking, creative works! 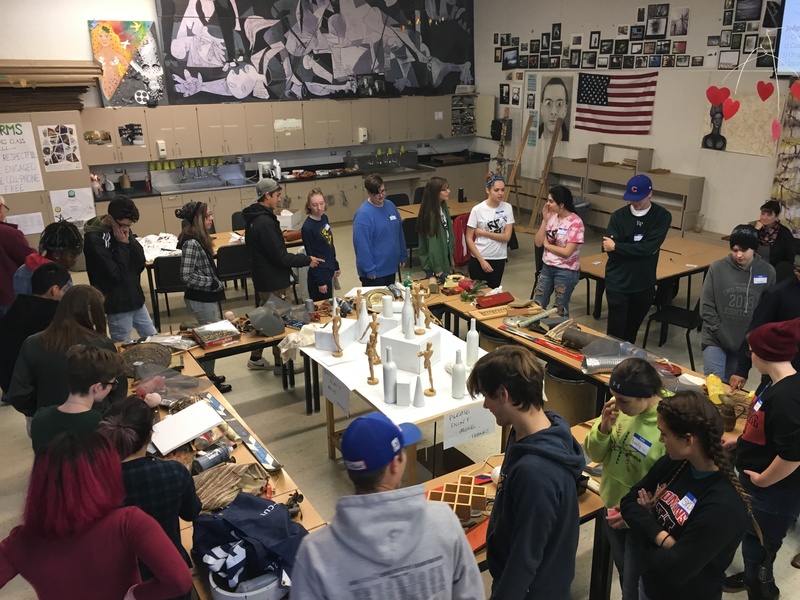 Students begin the selection process of what will go into their artwork (below). 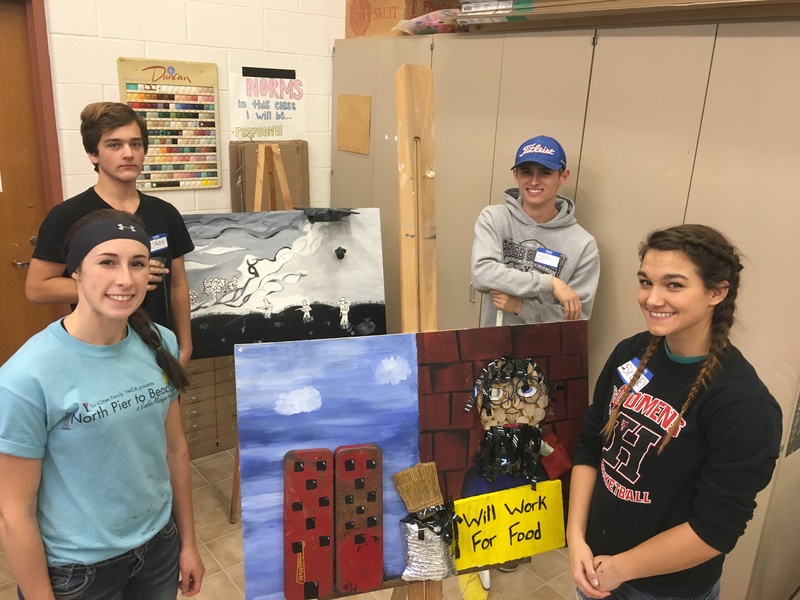 Mona Shores Students are pictured below with their work. R-PHS students with their work (below). Holton students with their artwork (below). 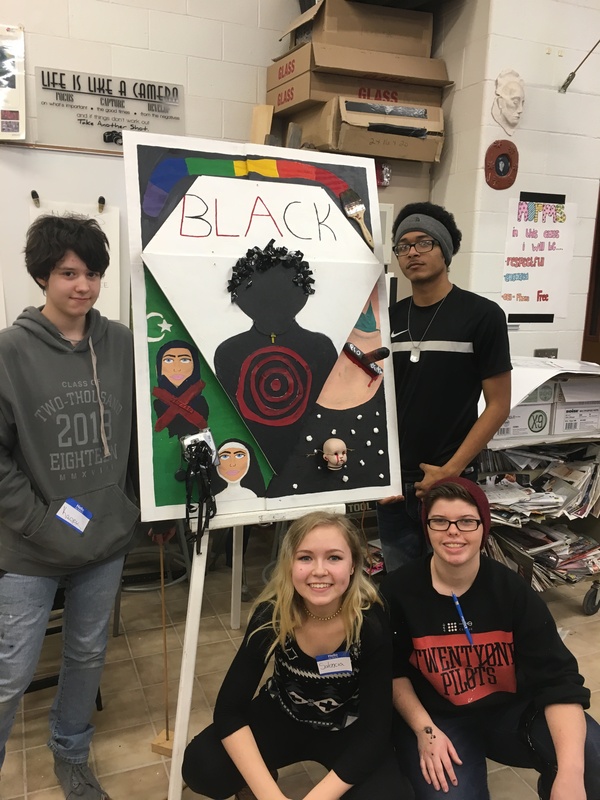 North Muskegon students with their artwork (below). Orchard View students with their artwork (below). What used to be known as an “Open House” at the high school has changed to a Curriculum Night! The shift in focus is fully on what students will learn in their classes over the course of the 2016-17 school year. Our Curriculum Night is scheduled for: Thursday, September 15th from 5:00 – 8:00 p.m.
We hope you will join us next week Thursday! 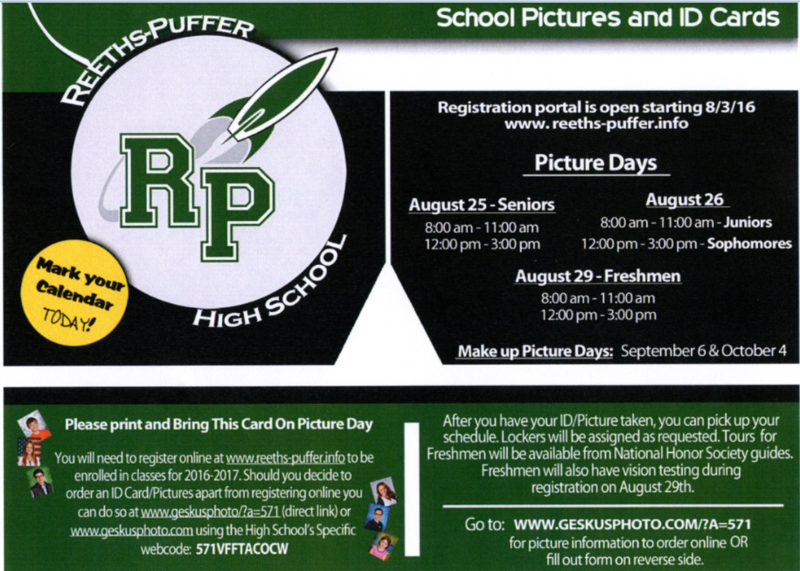 Students that will be attending R-PHS in the fall should watch for the following mailer coming your way sometime soon!